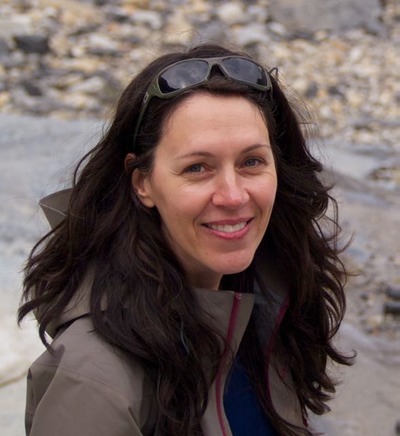 MFA alum Chantal Bilodeau is writing and curating a series for Howlround.com — an online journal focused on exploring where we are headed and what we are doing as dramatists — about Theater and climate change. Chantal has been leading the charge internationally in developing a new play cycle about climate change. See the Howlround essay series here: http://howlround.com/in-search-of-a-new-aesthetic. See more about Chantal’s Arctic Play Cycle here: http://thearcticcycle.org/. 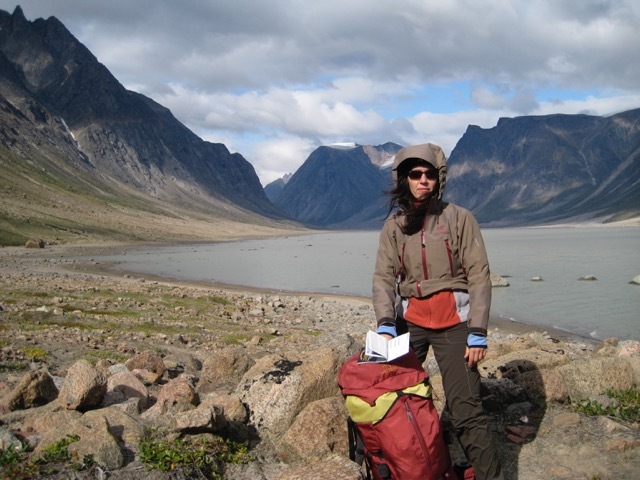 Chantal Bilodeau has a new essay on worldpolicy.org, “A Playwright’s Journey Into the Canadian Arctic,” about her research and writing in the Arctic, specifically her interactions with the Inuit people. From their site: The World Policy Institute, cited by Foreign Policy magazine and the University of Pennsylvania as among the world’s leading think tanks, identifies critical emerging global issues in an interdependent world and gives voice to compelling new global perspectives and innovative policy solutions. Bilodeau is an alumnus of Ohio University. She is in the middle of a very ambitious project, The Arctic Cycle, whose goal is to write eight plays set in eight different countries whose borders extend into the Arctic Circle. Chantal Bilodeau’s play, FORWARD, has a staged reading with Chicago’s Akavit Theater tonight at BOHO Theater. Forward began in October 2011 with Chantal’s participation in the Arctic Circle (thearcticcircle.org) program, a two-week sailing expedition around the Svalbard Archipelago, located halfway between Norway and the North Pole. Moving backwards from present-day Norway to 1895, when Norwegian explorer Fridtjof Nansen established a record for sailing closest to the North Pole, Forwardpresents a poetic history of climate change and looks at how a spirit of innovation propelled Norwegians through three major events of the 20th century: the conquest of the North, the discovery of oil, and the onset of climate change. The play looks at a series of seemingly unrelated characters confronting small, day-to-day challenges, and making choices that seemed innocent at the time but turned out to be important markers in History. The reading is at BOHO Theater at 7016 N. Glenwood Ave by the Heartland Cafe. Ohio MFA Playwriting Alum, Chantal Bilodeau, has a new translation of Mohamed Kacimi’s HOLY LAND by 3rd Kulture Kids Theater Company at HERE Arts Center in New York City opening April 18th. Bilodeau, who came back to visit the MFA Playwrights this spring, translates French plays in addition to currently working on her English written Arctic Cycle plays. This is the American Premiere of HOLY LAND, which has been produced worldwide in Paris, Vienna, Prague, London, Milan, Jerusalem, Rio de Janeiro, Stockholm, Hamburg and Avignon Festival. A city under siege. The landscape is white, dusty and devastated. Carmen has disappeared at a checkpoint. Her daughter Imen must face the soldier’s house searches alone, a soldier who listens to Stravinsky. In the house next door, Alia, the midwife, prepares her coffee as if nothing else matters while Yad, her husband, gets away from it all by smoking tobacco and drinking arak. The only hope seems to reside in Jesus: the cat. A dark and humorous story of 5 characters hanging on to the banality of day-to-day life, at times to the point of insanity, as a way to transcend the atrocities of war. You can purchase tickets and find more information about the show here. Honorable Mention from the Women in the Arts & Media Coalition as part of their Collaboration Awards, 2011. First Prize, Uprising National Playwriting Competition (Canada), 2011. First Prize, Earth Matters on Stage Ecodrama Festival, 2012. Sila has an upcoming production at the Underground Railway Theater in April 2014.